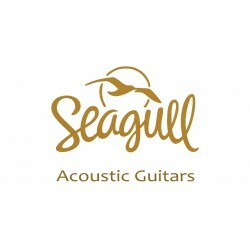 The Seagull Maritime SWS Concert Hall CW QIT electro acoustic guitar from the North American bu.. The Seagull Maritime SWS CW GT QIT 2018 is finished to an exceptionally high standard for the v.. The Seagull Coastline Cedar 12 QIT is a fantastic looking and sounding 12 string guitar from the Nor.. The Seagull Entourage Autumn Burst Concert Hall Cutaway Electro Acoustic is part of the fantast.. The Seagull Entourage Folk Burnt Umber is a beautifully finished electro-acoustic guitar. The sleek .. The Seagull Entourage Grand Natural A/E is a fantastic upgrade to its predecessor. The new Parlour s.. The Seagull Merlin Natural Spruce SG is an amazing little instrument ukulele type thing inspired by .. The Seagull Original S6 Concert Hall is one of the most popular selling Seagull guitars in the range.. The Seagull S6 Original Slim Burnt Umber Gloss Top is the perfect partner packed full of tone a..